In the course of the last four days the subject of unwanted help has come up on three occasions. It has been my experience that when the same topic is coming up repeatedly from different sources it is time to take a look. Most recently with a childhood friend, also a polio survivor, who is as in your face about it as I am. We having a Skype call earlier (while I was in the midst of writing my last post) and she asked me how I went about dealing with “unwanted help”. In all honesty at that particular time we were both having computer audio issues and I didn’t really hear her but tried to stumble through an answer while not looking stupid ( a life long battle). We did eventually settle on the term “unwanted help”. Now I have never given this term much thought but it did generate a good conversation. My friend, who will only be known as Rosita, had recently returned from an Alaskan cruise. Yes a Mexican Rosita on an Alaskan cruise which she really enjoyed despite being in the company of people who do not have the patience with her idiosyncrasy’s that I do. They are called family for a reason! I did my Alaska cruise over 20 years ago and accommodation for wheelchairs were really outstanding given the times. Rosita, who had decided to take her wheelchair, was quite impressed with the service as well. I say decided because she doesn’t really her regularly but felt the trip would be much easier if she had it and, reportedly, it was. The other reality is not only did she have polio the same time as me but she’s also older so really need I say more. Anyway she, like me, likes to control her own chair as much as possible. What a lot of non wheelchair users realize is that to many of us the wheelchair is an extension of our body…so touch the chair, touch the body, no no! Anyway that wasn’t the issue. She was taking a ramp down a gentle slope for something and one of the staff was holding the chair ostensibly to help. So Rosita asked her to just let go and she could handle it. It has been my experience as well that I want control of my chair more so on the downhill than the uphill. I’ve experienced more headers out of my chair coming to an unexpected stop due to a twig on the ground than I have driving over a boulder uphill. Anyway she asked him numerous times in her best well meaning voice however knowing Rosita I’m sure inside her head was much more descriptive language. He finally let go at the bottom of the ramp. That was what she referred to as “unwanted help”, you know the intentions are good but you don’t need it. And that’s where policy entered the discussion. Everything these days is about risk mitigation and once that “cruise ship employee” has made a commitment to assisting they are expected by policy to complete the assistance. The employee is doing it to assist with the best of intentions. The company is creating policy (contained in staff training sessions) to avoid litigation. Two very different motivations regarding “unwanted help”. Without being negative that is really is how the world works. I use to work as a policy analyst in government and I may be a little jaded but I do know there is a lot of ridiculous policy out there most people never even dream of. 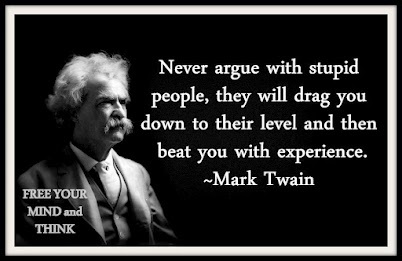 To further Mr. Twain’s comment I have become immune to the “unwanted help” which should be disappointing to me. The disabled of today me are a new societal inconvenience (and again that isn’t negative just reality). Times are changing and some of us are more aware of it than others. I am part of a generation of persons with disabilities that was never suppose to get where we are, retiring! So I deal with “unwanted help” by trying to recognize it for what it is, service or policy. Most of the times it is a bit of both however the person offering the help is doing so, generally, with good intentions. I grew up with a father who was the local scout master. It was a scouts responsibility to do a good deed every day. Who am I to turn someones offer down if it is their chance to do their good deed for the day? So I am use to “unwanted help” however I recognize Rosita’s issue. That earlier comment about “inconvenience”, well that is where this comes into play. Most of the staff on these cruises (and other large venues) are reacting more to the needs of that 65 year old who has never used a wheelchair. As life long wheelchair or crutch users we have developed our own coping mechanisms. It would be impossible to expect the cruise ship staff to recognize the difference. However a 65 year old struggling with a wheelchair that was supplied by the cruise company (many do) versus that person who came aboard with their own chair should know how to handle themselves. One may benefit from the help while the other feels it is an inconvenience. How do you get the staff to recognize the difference? Unless we are prepared to sign all types of ridiculous waivers we can only do what we can do. If that means putting the brakes on and very politely state “I realize you want to help and that there may be company policy meant to protect me. Please let me do this myself” then do it. Otherwise just roll with it! This entry was posted in Disability, Personal Life and tagged accessibility, cruise ships, disability living, Terry Wiens, unwanted help, wheelchair living. Bookmark the permalink.